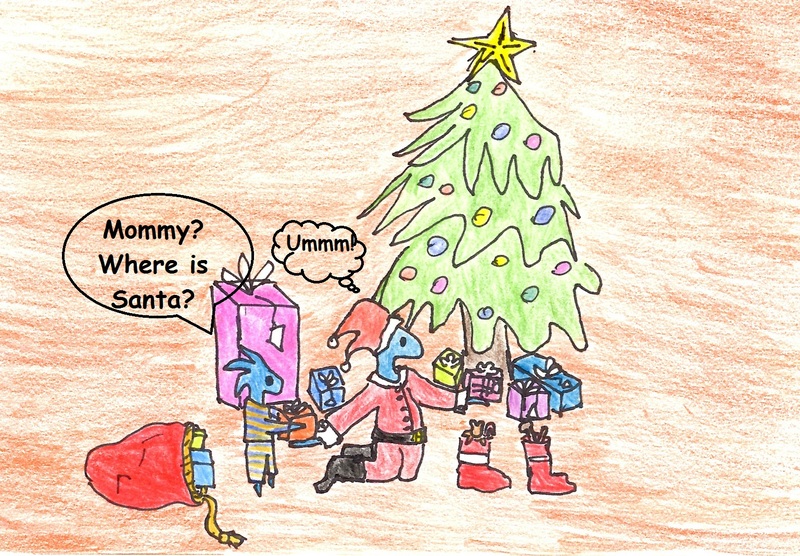 How Can A Parent Tell The Truth And Still Keep The Magic Of Christmas? When my daughter Marie was little and had asked this question I always told her that I believed in the spirit of Christmas and I did wholeheartedly. I loved Christmas time! The magic of it all, the excitement and build up to Christmas Day everything about it! I loved watching my children’s faces light up each Christmas morning. They were so excited that Santa had come to their house and knew he only came to those who believed! As my daughter got older I knew I would have to tell her someday. I felt really bad. Here I had spent her whole life teaching her the importance of honesty and telling the truth and now I had to admit that although I thought it a good cause, I had not been completely honest with her all these years. How could I break it to her gently so I wouldn’t shatter her dream? I remember when my mom told me about Santa after I had asked if he was real. She had been doing dishes in the kitchen and she just turned around and said, “No honey, your dad and I are Santa”. I was so hurt and disappointed. My dream of Santa was shattered and my mom and dad had been part of the charade. I trusted them! However once I got over the initial shock and had some time to think about it I realized I wouldn’t have traded my years of believing for the world. Christmas is always a magical time of year for me. Everything is lit up and beautiful and there really does seem to be a magic in the air that brings out the kindness and generosity in people. As the time approached to tell Marie I had thought a lot about what to say. She was nearly 11 years old and really wanted to believe. It wasn’t until her friends started talking about it when she finally came to ask, “Mommy is Santa Real?” I told her I truly believed in the Spirit of Santa and Christmas which was completely honest. I loved the magic of it all and in order to keep the magic alive Santa needed the help of parents to create the magic for their children. No the Santa in the mall was not a real Santa but they were people who helped keep the magic alive too.